Want to cash out Ethereum or other cryptocurrencies from an exchange instantly without paying ridiculous fees? ORCA can help you. The passage linking cryptocurrencies together regular finance is being laid. 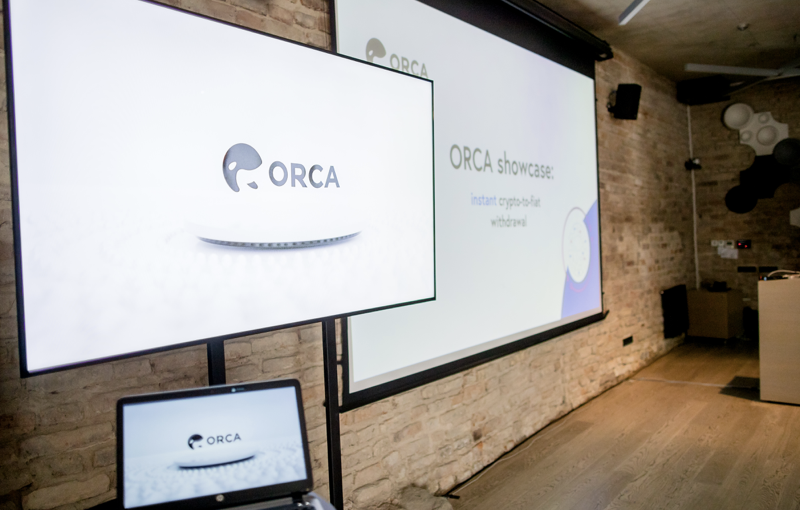 Yesterday ORCA Alliance has presented their technological case for the community during a live event streamed online. Mere 6 seconds. That’s how long it took ORCA to complete a transfer from a cryptocurrency exchange straight to user’s bank. “The whole banking sector is being disrupted <…>. A couple of years ago it had been inconceivable to think that a start-up can enter the closed market of retail and investment banking and take over a part of its market share” – claimed L. Bourquin. According to him, new IT-based market players are challenging banks and providing cheaper, more efficient services. To intensify the changes further, Open Banking is already making it’s way to Europe while other countries are watching closely to jump onboard. Most importantly, cryptocurrencies are capturing people’s attention and have become the most recent trend widely discussed in the world of finance, especially due to the fact it is including and making regular people interested in finance. Natan Avidan, the co-founder, and CEO of ORCA Alliance gave a broader presentation about ORCA and what problems does it aim to solve. ORCA is a financial management tool oriented for cryptocurrency users which connects various financial accounts through their APIs. N. Avidan said that mass cryptocurrency adoption would be reached only if the market becomes more user-friendly, facilitating ease of access to technologically uneducated users. “At the core, ORCA is a consumer application, and we are well aware that mass adoption can be reached only through practical use cases and convenience benefits. Instant crypto withdrawals are just a stepping stone towards our goal albeit an essential one.” – commented Natan Avidan, CEO of ORCA Alliance.